Any conviction or guilty plea for operating a vehicle while impaired (OVI) in Ohio can lead a judge to order the offender to use an ignition interlock device. This is true in cases involving alcohol and/or drugs. The penalty becomes mandatory for an alcohol-related OVI after a second offense within six years. Individuals with multiple drug-related or alcohol related OVI offenses on their record are also likely to be required to use an ignition interlock. House Bill 469 proposes making ignition interlock mandatory for every alleged offender, even on the first offense. Working with a Columbus, Ohio, repeat DUI attorney to avoid having a judge require you to install an ignition interlock in your car or truck is important because using the device represents much more than an inconvenience. The costs for getting the device installed, checked and calibrated each month, and paying for replacement if the device is damaged will likely be your responsibility. The length of time you must use the device is left to the discretion of the judge, so monthly fees can add up to a significant expense over and above any other criminal fines and court costs for OVI. 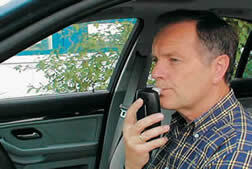 Many ignition interlock devices are set to require an initial clean breath sample when a driver starts the vehicle and fresh samples at regular intervals throughout a trip. Having to divide your attention between driving safely and blowing into a tube to keep your car running could be quite dangerous. Additionally, ignoring an alarm that alerts you to retest will automatically disable your car by shutting off the engine creating yet another dangerous situation. Should you register a blood alcohol concentration above .02 when using an ignition interlock device, you will be subject to arrest and detention, the reinstatement of any parts of your original sentence that were previously suspended, and new charges related to OVI or physical control. In such circumstances, you should not hesitate to hire an attorney who handles repeat DUI cases. Your lawyer will be able to ensure that the device is thoroughly tested for proper functioning and accuracy, as well as make sure that prosecutors and judges fully consider your history of compliance leading up to a purportedly positive breath test. To connect with a repeat DUI attorney in Columbus, Ohio, call The Maher Law Firm at (614) 205-2208 or schedule a no-cost case consultation online. We have helped many OVI suspects, and we know how important it is to prevent the installation of ignition interlock devices, as well as to protect clients from suffering unjustly when a device malfunctions.